Posted 27th May 2012 by peterdixon in Advice. When you are subject to a shoddy service from an operator or an authority involved with public transport, it is very easy to submit remarks in the heat of the moment that may not lead to the response you are looking for. As a volunteer on FixMyTransport, I see many different styles of complaints and it can be disappointing to see a really good point about public transport not make the impact it should do. The issues that follow a few simple rules are more likely to succeed. The first thing to remember is that someone else, who deals with issues like yours every day is reading what you have written and they need as much information as possible to ensure that they can handle your request appropriately. If they do not get this information, they are less likely to provide you with response that you are looking for. An important aspect to focus on is to focus on your issue. If it is about late buses, focus on late buses. Avoid moving on to other topics that the operator is unlikely to be able to deal with such as bus shelters or the previous operator of the route. If you are going to cover two points, make this clear and keep the points separate. Try to avoid moving between issues because these two points could be handled by different departments within the company or authority you are sending your issue to. The more details you can provide, the easier it is for the operator to work out who is involved with your incident. The most important pieces of information are date, time and location from which the operators can begin your investigation. These unhelpful comments can make it more difficult for those who are handling your issue to provide your complaint by increasing the length of your complaint unnecessarily. In addition, the time spent creating the unhelpful comments can prevent you from providing the useful information, which the person handling your issue can use to help your issue reach a successful conclusion. In addition, general opinions such as how it used to be better when you were young (unless this the issue you are raising) are also unhelpful. The customer relations people see these all of the time and are more likely to send you an email that does not answer your query. It doesn’t need to be perfect but good spelling, full stops and commas in the right places, can help those reading your message understand it. The quicker they can read it, the more time they can commit to helping sort out your issue. It also prevents misunderstandings and it can make other people on FixMyTransport more likely to support your campaign. We all have a bad day and I am sure that your issue has really screwed your day up. However, bad language is not tolerated by operators. As some have found with certain operators, they operate a swear filter, which will bounce your complaint. Even those that get through to the email inbox, could be ignored and some operators have even launched criminal cases against those who have threatened their staff through their Customer Relations channels. One issue that we have had is that sometimes members of staff swear and it is difficult to communicate this without using the word. I would advise you to replace them with asterisked or other descriptives rather than post the actual word (F***, the F Word and F*&^ are all ways to replace a rather commonly used swear word). Posted 10th May 2012 by paulhollinghurst in Fares. Rail fares and tickets are not surprisingly a common source of complaint on FixMyTransport. Although there are expensive fares, there are also many which are cheap or reasonable, but the overall impression is one of a fares system riddled with unfairness and traps for the unwary, and a rail industry unwilling to do anything to fix the fundamental problems. 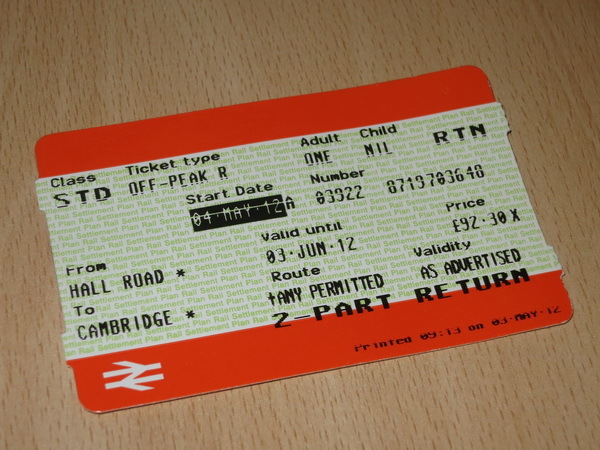 Examples which have been reported are the confusion of having cheaper fares for going further, where it is difficult to spot the right ticket on a machine from the confusing selection available and where splitting the journey into two tickets is cheaper than one. 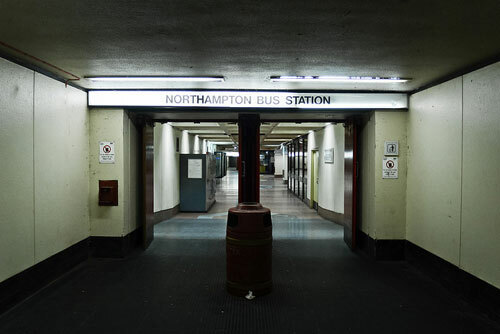 Users have also reported problems with ticket barriers which reject valid tickets. What these FixMyTransport campaigns show is that whilst the train operators often give sympathetic responses, there is rarely a suggestion they want to fix the underlying problems. However until 28th June 2012 there is an important opportunity to help fix the rail fares system as the government is consulting on changes and it is clearly important this is not left simply for the operators to influence. Their website includes plenty of information and positive ideas. Anyone can contribute by following the link to on-line response form. The problem of fares complexity has been building up for years and has become one of the main frustrations for passengers. Let’s hope real change is on the way, sweeping away the current unworkable system. 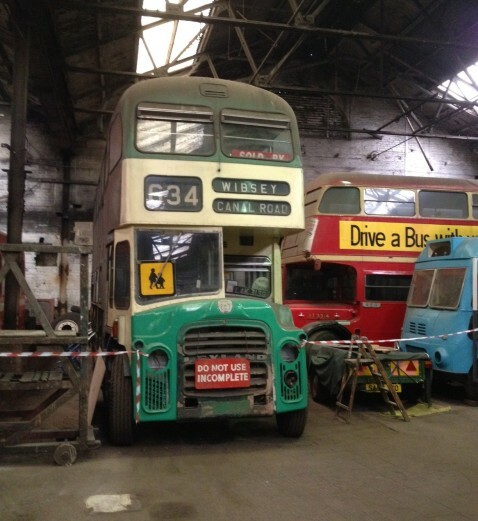 Posted 1st May 2012 by peterdixon in FixMyTransport team. The Freedom of Information Act has already helped FixMyTransport to find out more about a bus stop installation in Heywood. This week, I am going to discuss another FoI request that has covered a source of discontent for some bus passengers in London. To combat road congestion on the London Bus Network, bus control operators can request a driver to terminate a bus before its destination and travel somewhere else (usually in the opposite direction). Bus passengers using Oyster PAYG or cash pay on a per bus journey basis, so if they have to take two buses for a journey, they pay twice. 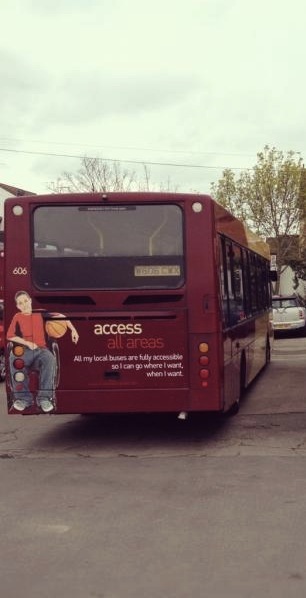 If you are only expecting to travel on one bus for your journey but you are then forced to change buses, this can add extra costs to your bus journey that are not your fault. This should be solved by the issue of a Transfer Ticket. However, it appears that some FixMyTransport users are not getting issued with these Transfer Tickets, such as Fraser Darling. To help users faced with this issue, I felt that the best way to proceed was to clarify the policy and the impact of not issuing them with Transport for London through the Freedom of Information Act. Unfortunately they were unable to find out how many complaints they received or how much compensation they provided with regards to Transfer Tickets. However, they provided us with three useful pieces of information for passengers who face this situation. 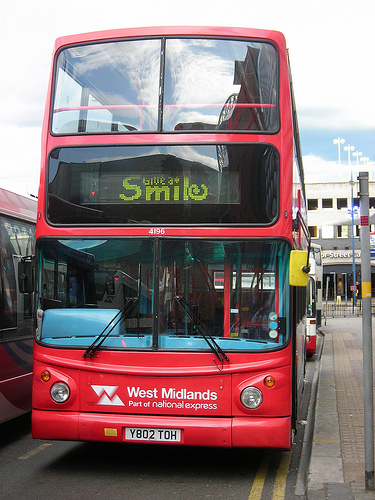 Issue a ‘transfer’ ticket from the ticket machine (you do this by issuing an inspectors ticket for ‘9999’) and give it to the driver of the bus picking up your passengers. You may have to do this with more than one bus, until all of your passengers have been picked up. The actual current process of issuing one of these tickets involves pressing a button twice to bring up a menu of special tickets on the ticket machine display, pressing a button to select an Inspectors Ticket, entering ‘9999’ on a keypad and then pressing the ‘issue’ button. 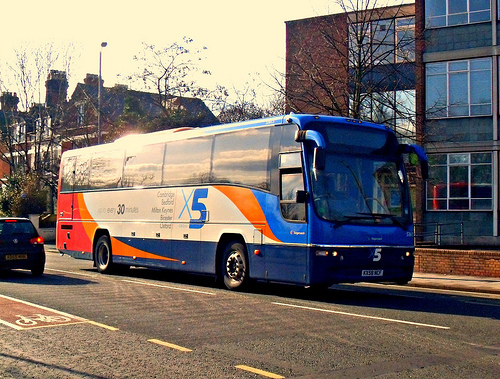 The passenger should ask for a ticket from the driver of the bus from which they are transferring, at the time the transfer takes place. If for some reason the driver either refuses to give them a ticket, or does not supervise the transfer personally, the passenger should take details of the incident (time, place, route, what happened) and contact TfL Customer Services, who will have the matter investigated. Please note that if the driver personally supervises the transfer of passengers to another bus, there is no need for individual issue of transfer tickets, since passengers will then have been able to complete their planned journey without further payment. Customer Services aim to respond to all complaints or enquiries within 15 working days. Any request for a refund is considered on its own individual merits, however we would expect a refund to be agreed if the driver failed to issue a transfer ticket when they should have done so, causing the passenger to incur additional costs. Please note that we are about to change the process for issuing transfer tickets (now to be Transfer Vouchers). The mechanical process is simpler, and drivers should issue them individually only to any passenger who has paid a cash fare or used Oyster PAYG. On boarding the second bus, the receiving driver should check the voucher (which is valid for 60 minutes after issue), cancel it by tearing it [in] half and return both halves to the passenger. 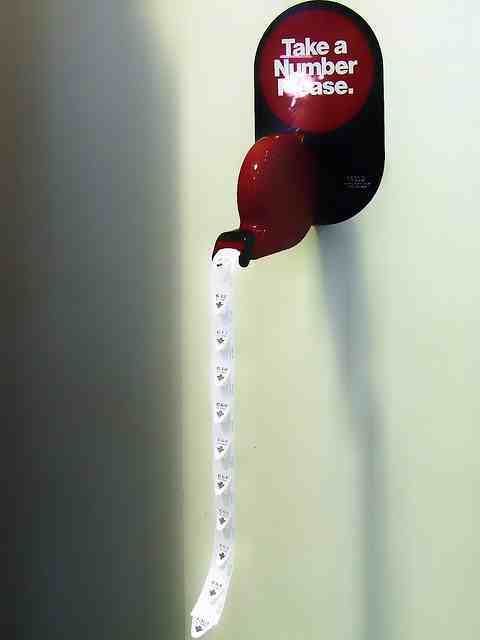 We expect this to be introduced over the next few months. The Freedom of Information Act has helped to clarify the policy for Transfer Tickets on London Buses. With this information, it should be easier for bus passengers using Oyster PAYG and cash to understand what they should ask for and what they can do if they are not issued with a Transfer Ticket when they should be.